Sussex, Wis. – The Mosaica Group, a Midwest-based distributor supporting wide format, digital, sublimation, offset and other print processes, has added in-house converting capabilities to their vast array of services by investing in a 78-inch VSR duplex slitter rewinder. The ability to convert enables The Mosaica Group to slit, rewind and trim a multitude of products from sublimation transfer papers and tissue papers to laminates and premask products. The 78-inch VSR duplex slitter rewinder can slit and rewind at an amazingly fast speed of 300 feet per minute. It’s able to slit and rewind large rolls up to 50,000 linear feet along with gram weights as low as 19 gsm. It slits material up to 75 inches wide with a thickness up to 105 gsm and is able to unwind rolls up to 40 inches in diameter. The Mosaica Group invested in the duplex slitter rewinder through Pinnacle Converting Equipment & Services, LLC. Their expertise focuses on challenges in web handling that include slitting, sheeting, core cutting, impulse sealing, unwinding, rewinding, laminating and stacking. 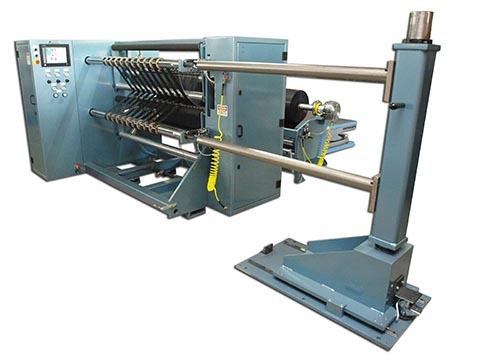 78-inch VSR duplex slitter rewinder, manufactured by Pinnacle Converting Equipment & Services, LLC, North Carolina.